4 areas that C-Stores can target in generating more profit and loyalty from store traffic. Against a rapidly evolving backdrop, convenience stores confront a wave of unprecedented challenges, driven by changing consumer trip behaviors and a continually-churning competitive environment. 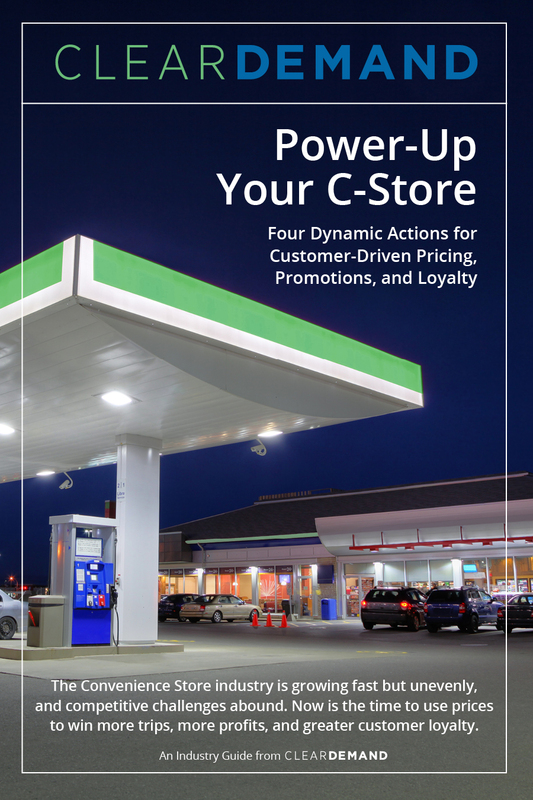 This guide outlines four core pricing management opportunities convenience store operators must pursue to earn greater customer loyalty with sustained profitability in today’s highly dynamic marketplace. Rules: Learn how rules can be used to ensure compliance and drive competitive advantage. Promotions: Gain a better understanding of the factors that can determine the difference between an effective promotion and one that drains margin. Loyalty: Comprehend how an effective loyalty program can drive long-term profitability. Price Optimization: See how an effective pricing strategy can be used to drive traffic and margin. Your relationship with your customers is rapidly evolving. What can you do to ensure their loyalty?